Here's my big project for the moment. 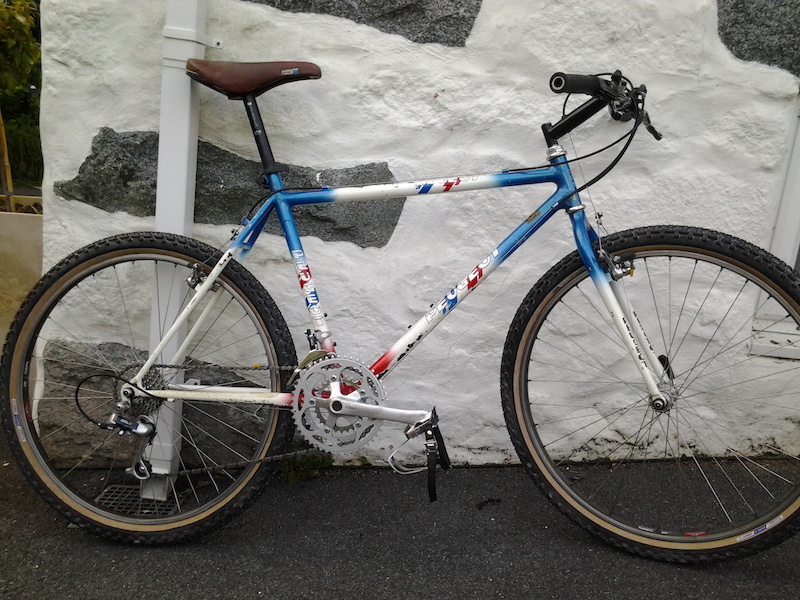 I bought this for £618 in February 1986 via Steve Devine at the Bristol shop. 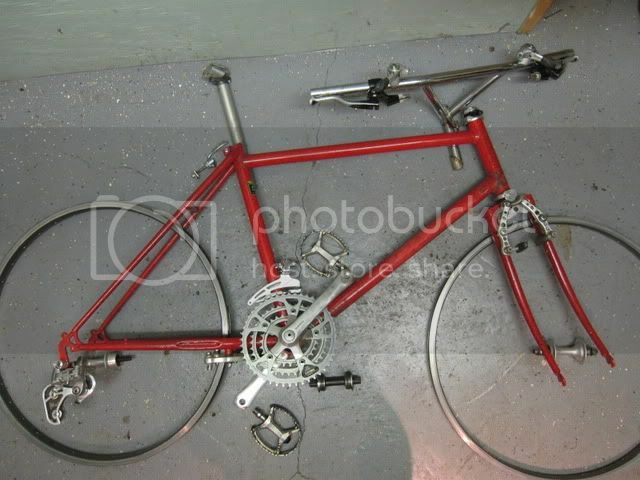 I'm looking to build it up first with the original parts I still have and some used parts, then respray, tranfers etc and NOS parts to make it gleaming again. Deerhead is awful at shifting but the M700 chainset is a work of art. Thanks LGF, I thought it might have escaped from some genetic experiment...you know, like fish with 20 eyes. Looking back along the timeline you linked to , I've got a Mountech 2 frame somewhere, so I might fit that in the first instance. 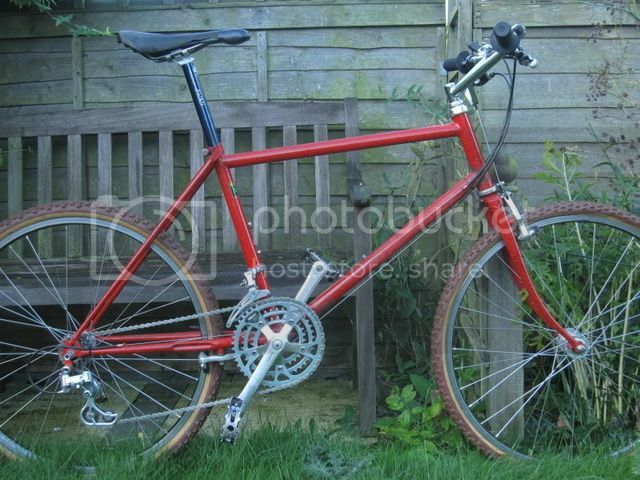 If I can get the wheels built up in time, I might have it for the Chicksands meet on the 31st. Have you got a short Suntour derailleur guard in your shed empire? Oops - not a mech but mech guard - sadly no. Last edited by legrandefromage on Wed Oct 13, 2010 4:16 pm, edited 1 time in total. wow i am loving that. New paint, some decals and a few parts and that will be an awesome build. Let me know if you need decals as i may have a spare set of grey overbury and poineer ones. I've got a Shimano one if that helps?? 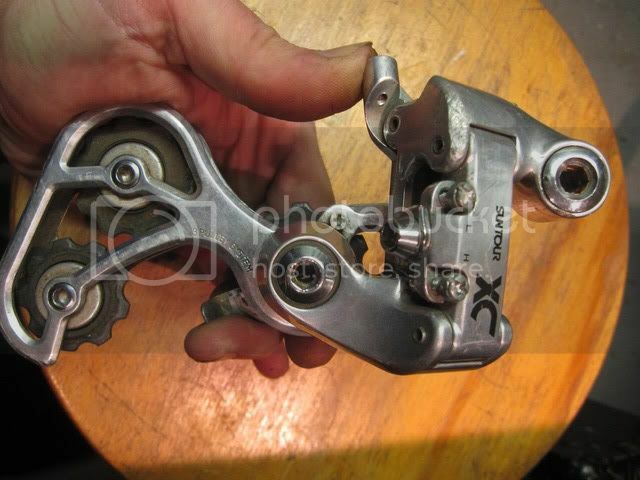 Thanks makster, the original one was Shimano, but I'd like to use the (almost identical) Suntour. I'll get back to you if I can't find one soon. These old guards were seriously built, for heavy beating, unlike the newer ones built from mild steel spaghetti. On the transfers, Biglev, I'm looking for some of the waterslide white/black letters with the Bristol coat of arms headbadges like John's Pathfinder. I was told by Enid(?) Powell around 1997 that their stock had been left on top of a radiator and had curled up, so they'd changed over to the vinyl cut ones after that. I can get the typeface (Salisbury?) and the arms could be drawn up OK, but does anyone know a good waterslide transfer printer. AFAIK the problem is printing the white, otherwise there's laser printer waterlide paper aroundin the modelling world. 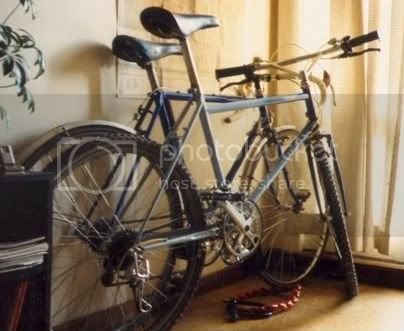 wow, thats awesum, id love to see that model year next to a later model, like lgf"s, just to be able to compare geometry, b/b heights and chainstay lengths etc, rollercams too, awesum, i cant wait to see this project unfold...... beauty. Next time I see LGF, we should be able to arrange a side-by-side pic. Cabling and brakes need tweaking, and the gear block's all wrong, but it's rolling. The original tyres were Panaracer Ibex but were quickly changed for Specialized tri-Cross 1.5", so these Ritchey Z-max 1.7" are pretty close. I even managed to find some DiamondBack grips which are like the original ODI Mushrooms. Looking for Suntour XC seatpin 27.2mm and Selle Italia Turbo Hinault in blue, any condition.